Newly re-opened, the Mac’s Provincetown market allows you to buy the daily catch and offers local products all summer long ; fresh lobster from the region, fish cakes, crab cakes, shrimps… Something to please everybody. What started out with a road trip with friends became, in time, a real tradition. Every year, it is with family and friends that we spend wonderful vacations in Cape Cod’s colorful region. 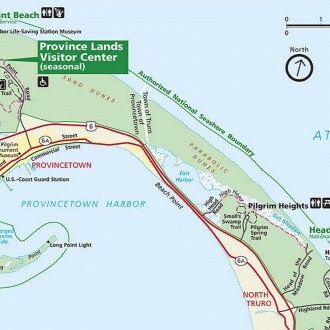 On the peninsula’s farest point, about a hundred kilometers of Sagamore bridge, Provincetown is situated at the end of route 6A. When you enter the city the view is breathtaking everytime. 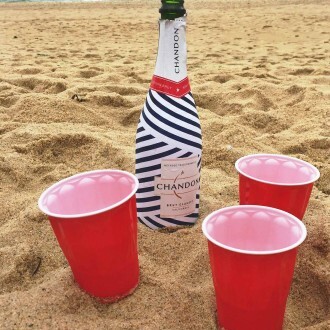 The ocean’s smell, the sand dunes… It really is heavenly. Throughout the years, Provincetown regained its popularity and modernised itself. Some spots are a must-see and are waiting to be discovered. We wanted to share with you our enthusiasm. Here are five suggestions from the LSTW team. Herring Cove is THE beach for women! In the sand dunes, it stands on Cape Cod bay and is recognized for gathering the lesbian community, as well as families. With its natural beauty, the beach’s installations were completely renovated, two years ago. A new canteen and new lockers. 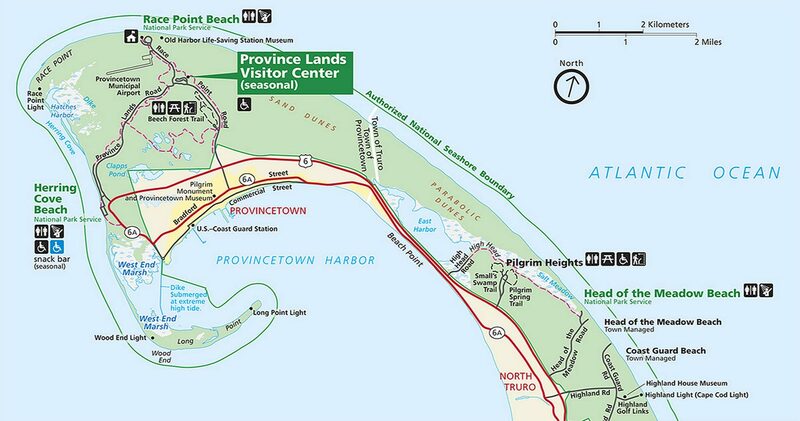 Herring Cove is a part of the Cape Cod National Seashore national park. You can buy a seasonal pass that gives you access to every beach in the park. Spending a week in Provincetown implies renting a town house. Even if there are hotels and bed and breakfast around, most vacationers rent houses with the help of sites like HomeAway, Vacation Home Rentals, etc. The houses are, generally, fully equipped with kitchens and BBQs. 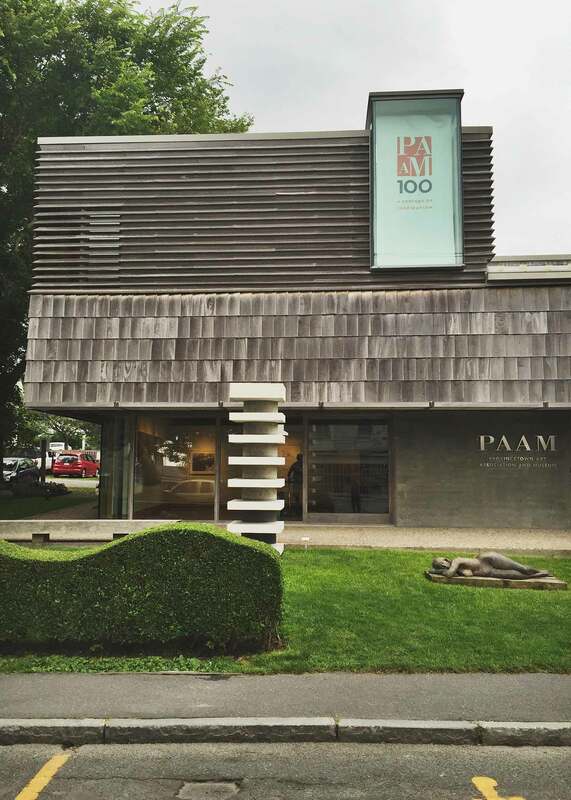 Situated on the the east portion of Commercial Street, the Provincetown Art Association & Museum is a must-see. It is located on a section dedicated to creation and that is home to art galleries. With sculptures or paintings, the art work is visible from the street and transforms your passage into a creative and inspiring experience. 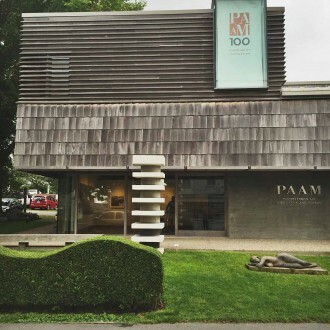 The museum reflects Provincetown’s active communities and is an essential cultural ressource. 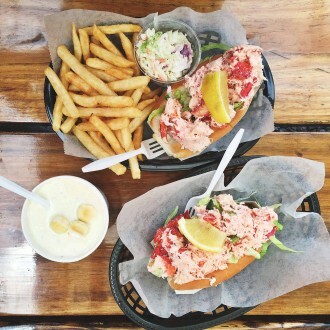 Driving up to the end of route A6 will make you dream about lobster rolls. Our suggestion : Burger Queen, right in front of restaurant Patio. An authentic seaside shack, you can either eat facing the street or under the roof. You have to try the clam chowder and the lobster roll. Served in small baskets, the shrimp hamburgers and the crab cakes are delicious. Quality ingredients in a central point of the commercial street. The Nor’Est Beer Garden is a cool terrasse that’s worth the detour if you like a cold beer. Bottled local products, cans and on tap, some brews are limited during summer. A good way to make new discoveries! You can follow their Facebook page and their website to see witch beer will be available during your stay. Right before the pay toll on the 93, you have to stop at New Hampshire Liquor Store Outlet to buy alcohol for the week. 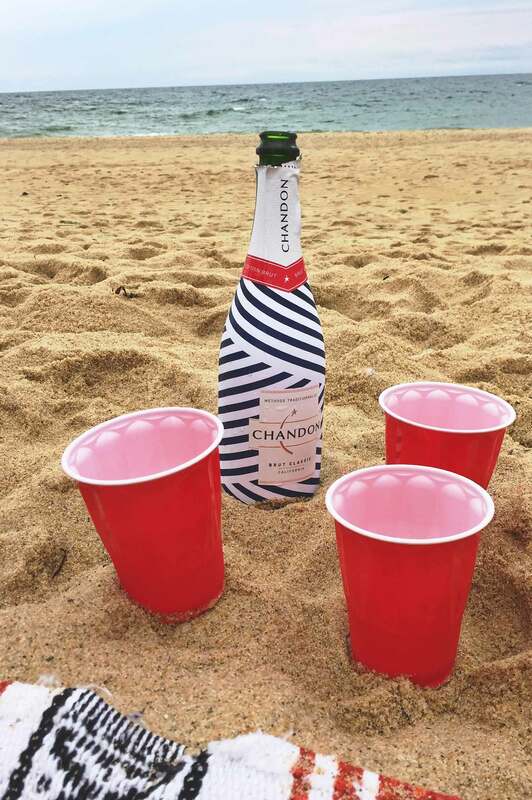 From bubbly wines to California wines, diversity and quantity is au rendez-vous. And the prices are unbeatable! Chandon for 12 dollars and wines you couldn’t find here in Quebec.